The Ffestiniog and Welsh Highland Railways Trust was originally the Festiniog Railway Trust. This was registered as a charity (No 239,904) on November 10th 1964. It replaced a 1955 non-charitable Declaration of Trust by Alan Pegler to hold the shares of the Festiniog Railway Company that he bought in 1954. The Trust now holds a controlling interest in all classes of shares in the Company. The Festiniog Railway Company also owns the Welsh Highland Railway. As the controlling shareholder of the Festiniog Railway Company, the Trust appoints the Company directors but takes no part in the day to day running of the two railways. It is the policy of the Trust that all profits from the operation of the railways are re-invested in them. However, this is not sufficient and additional funding is necessary to ensure that the railways will be sustainable in future years by investing in their infrastructure and rolling stock. For this reason the Diamond Jubilee Appeal was launched by the Trust in 2014 to raise £8 million over ten years. 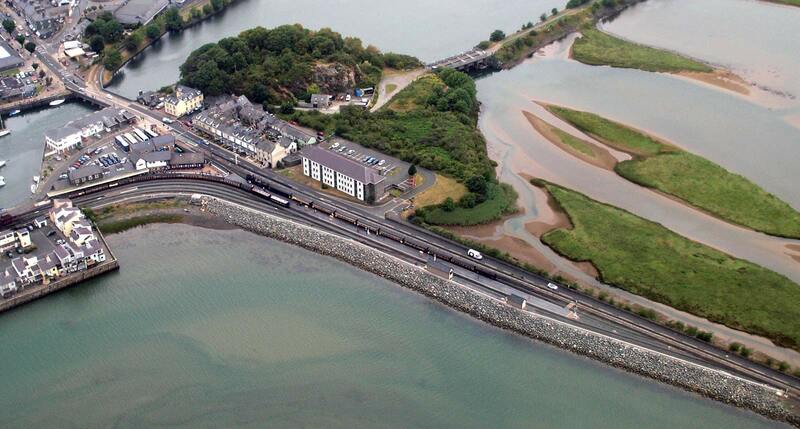 Although over £3 million had been raised by the end of 2016, much of this has already been spent on projects such as the remodelling of Porthmadog Harbour station and the start of work currently in progress, including the new station at Caernarfon, extensive new works at Boston Lodge and the building of additional modern carriages. Further funding remains necessary to complete these and other necessary infrastructure projects. The Trust is the main route for donations and legacies to the railway and accounts for the large majority of the contributions that have already been used to improve and conserve the railway over many years. Further information on the Trust can be obtained from its Secretary, John Alexander at jalexander@ffwhr.com and further information on the Diamond Jubilee Appeal can be obtained from its administrator, Michael Wilkinson at mwilkinson@ffwhr.com.